Defiant. An apt word to describe students protesting against university tuition fees over the last month. From bringing institutions to a standstill, to engaging in several hour-long meetings, disgruntled students have been unwavering in their pursuit of what they see as a fairer financial system for universities. And it went up a notch yesterday when protesting students stormed the parliament building in Cape Town. They stood firmly, face-to-face with riot police. They were seemingly unintimidated, in spite of the force letting off tear gas, and roughing up some students. Unafraid they continued to get right up to the riot squad, sometimes even performing gestures that said “go on, arrest me”. A brave, non-violent confrontation from the “born-free” generation, who are often derided as being too comfortable, apathetic, and lazy. 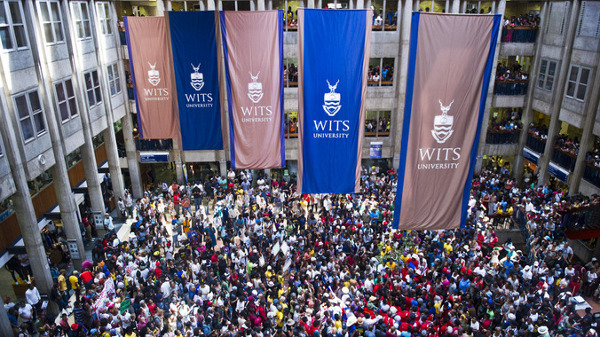 Much like their calls for transformation at universities earlier this year, the protest against fee increase shows that this generation of young people are more willing to actually address problems than arguably any other in post-apartheid South Africa. Through the issue over fees, we are seeing a selection of people — across race and class lines — throughout the country united via a common purpose through shared disgruntlement, powered through sheer resoluteness, putting themselves in the firing line, and trying to bring about social change. What’s more is that, behind the rawness seen in the fees protest, there is a profound understanding of South African society. The campaigns this year calling for transformation of campuses through demolishing certain historical symbols in universities demonstrate an understanding of regressive politics and their presence today. This generation’s young people are equipped with a fine balance of brashness and brains, the two resulting in the studied chaos of these protests. There is little more heartening than seeing young people fully aware of their position within a country plagued with problems, possessing the bravery to question what needs questioning, and, importantly, following through with action. Obviously this doesn’t describe 100% of young people — a hefty portion of them seeing the protests as pointless. Luckily, though, they are not the ones making the most noise. The protest action surrounding fees provides a sort of assurance that there is still an ongoing fight against South Africa’s numerous social problems. The forceful mob breaking through the gates of Parliament shows a determined, switched-on, intelligent youth. There are no finger-pointing blame games with this lot: they see themselves as the agents of change. They are forcing the conversation, making all attempts to begin defining South Africa’s future.